GIMIT Learning center offers an extensive line of Linux training courses to fill everyone's training needs. Linux is a free Unix-type operating system originally created by Linus Torvalds with the assistance of developers around the world. 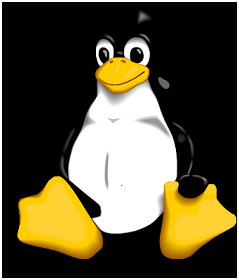 Developed under the GNU General Public License , the source code for Linux is freely available to everyone. Typically all the underlying source code can be used, freely modified, and redistributed, both commercially and non-commercially, by anyone under licenses such as the GNU General Public License. Despite being open-source, their are companies who sell Linux.. These companies, most of which are also members of the Open Source Development Lab, invest substantial resources into the advancement and development of Linux, in order to make it suited for various application areas. This includes hardware donations for driver developers, cash donations for people who develop the operating system software, and the employment of programmers at the company. Some examples are IBM and HP, which use Linux on their own servers, and Red Hat, which maintains its own distribution. just to name a few. All of the above are based on different kernels. This training course is for Professionals who want to certify their technical knowledge in basic installation, operation and troubleshooting for Linux operating systems should consider this certification. The skills and knowledge measured by this examination were developed with global input to assure accuracy, validity and reliability. Earning the CompTIA Linux+ designation means that the candidate can explain fundamental open source resources/licenses, demonstrate knowledge of user administration, understand file permissions/software configurations and manage local storage devices and network protocols.